Published in Industry Updates on 08/03/2017 by Harry Lew, Chief Content Writer. The Securities and Exchange Commission (SEC) has approved a Financial Industry Regulatory Authority (FINRA) measure that revamps its securities licensing exams. Effective in the fourth quarter of 2018, the new system would create a two-tier licensing program that allows someone without securities industry experience to take a general knowledge exam called “Securities Industry Essentials” (SIE). This means insurance professionals who wish to explore the securities industry without sitting for a more advanced licensing test, which also requires affiliation with a broker-dealer, may do so. For example, FINRA says individuals looking to enter the business could take the SEI exam and then sit for higher-level, specialized exams based on their desired role as a registered representative. This means people taking multiple licensing exams don’t need to repeatedly answer questions about general securities knowledge. A major benefit of the new system is that people who want to explore career opportunities in the securities industry can take the SIE without being affiliated with a FINRA-regulated firm. Then when they land a job, they can sit for the appropriate licensing exam, already having documented knowledge of the securities industry. In addition, a greater number of firm employees will now be allowed to obtain and maintain any license as long as their firm allows it, even though they don’t perform the duties covered by that license. Prior to the measure, this was limited only to people in legal, compliance, internal audit, and back-office roles. Now employees in technology, accounting, and other areas can take tests outside their job roles in order to help firms build deeper talent pools. 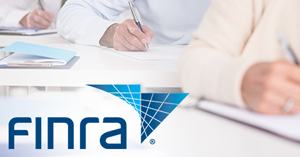 To see the full text of the new and approved FINRA exam rule, go here.